What are the best practices when blogging? Our last blog post has been nothing short of remarkable. In just a few weeks since it was published, that single post has had many thousands of visitors, created a huge amount of positive and negative response and generated lots of very valuable discussion, as well as enquiries for our business. SEO is dead, but what marketing can we do instead? It isn’t often that an entire multi-billion dollar industry collapses almost overnight. What industry are we talking about? SEO or search engine optimisation was the art (or science) of manipulating your way to the top of the listings on Google or another search engine. As a brief explanation for those who don’t know how search engines work. There are billions of pages on the internet. 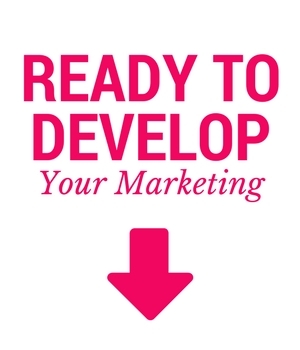 WE have lots of conversations every day with companies who are getting ready for an increase in their SME marketing activity in 2014. The Bank of England have publicly announced that the UK is in a period of sustained recovery and all of the economic indicators are pointing north. Without activity marketing tools can struggle, even for Twitter! This is pretty fascinating and a great lesson for all of us, in the difference between marketing tools and marketing activity. How many of us have developed some kind of web based video? In business, the answer is probably quite a lot of us. Are you a mobile marketing company like Facebook? Facebook latest results are really interesting and some of the numbers are astonishing. If they only generated a few million dollars, this would not be a surprise, however, this is £1.62bn ($2.0bn) in just 3 months. That is a lot of money. Sales and Marketing Activity, what comes first? A bit like the old riddle of which came first, the chicken or the egg, many companies seem unsure about what comes first, the marketing or the sales? In terms of cause and effect, it can certainly be a challenge to work out sometimes. First then, let’s start with a question. Is it possible for someone to buy from you if they don’t know you exist? EVERY few years or maybe longer in some cases, artists looks back on work they have produced. In the art world, this is known as a retrospective. If you consider writing a blog as an art form, surely it would also make sense to have an occasional retrospective for that medium. In reality, due to the here today, gone tomorrow style of media, a lot of blogs are consigned to history. What is my customer data worth? Three company directors from Merseyside have been banned for a combined 36 years for selling warranty cover to Sky customers for the maintenance and repair of satellite equipment. At first, this might seem straightforward. They hadn’t been legally authorised to offer warranty support. Buying data from abroad. Are you willing to take the risk? I heard a bit of a cracker today that I just had to share. A while ago we got an inbound enquiry from a reputable organisation looking for some email marketing data for a marketing campaign. The enquiry wasn’t too complex. There were some geographic criteria and also a few ideas around businesses that might be more relevant for the campaign.